We’re all used to Steve Spurrier taking jabs at Georgia and Tennessee, but he took things a step further Saturday night. Spurrier’s Orlando Apollos steamrolled the Atlanta Legends 40-6, and the Head Ball Coach had his guys locked in for the season opener. Following his sixth consecutive win with a new team, Spurrier jabbed the Washington Redskins. It was clear that Spurrier was having lots of fun thumping a team from Georgia. Spurrier, of course, left Florida in 2001, and he landed the Redskins job. He lasted just two seasons, and he returned to college at South Carolina. Spurrier then took the Gamecocks’ program to a whole new level during his tenure. 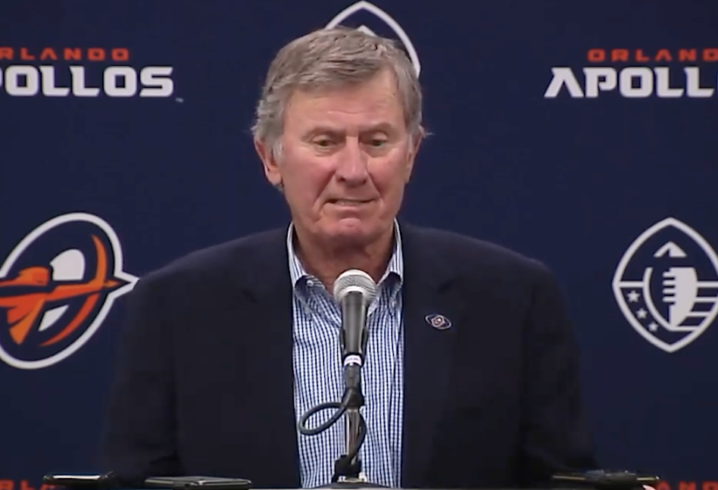 Spurrier was the biggest hire the AAF made in the coaching ranks. He was serving as an ambassador at the University of Florida, and now, he’s back on the gridiron with the Apollos. Actually, that’s pretty funny. Typical Spurrier.